I’m a crowdfunding consultant for authors so why one earth would I discourage someone from crowdfunding their book? Well, crowdfunding on Kickstarter and IndieGoGo is NOT right for everyone. I make that clear in just about every video, blog, and interview I create. Here’s a list of 10 reasons why you should NOT CROWDFUND your book. If after reading this, you’re still like, “Nah, I could do it…” then by all means, proceed. I’m not sure who is crowdfunding thousands of dollars without doing months of preparation beforehand, but it certainly isn’t many people I know personally. Garnering a lot of attention and then converting that attention into pledges takes a ton of effort. Don’t underestimate how much work is involved in a 30-day campaign. You’re looking at 60-120 days of work from the beginning concept to fulfilling the rewards. People can see exactly how many pledges you get every day of your campaign. If you don’t like that kind of transparency or to have your marketing actions under a microscope like that, then crowdfunding might not be right for you. Social media is noisy and now crowdfunding platforms are getting “crowded” with more and more commercial products. In order to stand out from the pack, you need to develop your audience, educate them, and deliver what they want day after day. For whatever reason, Facebook ads don’t convert for Kickstarter and IndieGoGo campaigns for books. They just don’t. Readers want books NOW and they want to start reading right away. It takes a special stranger who is willing click on an unknown link and then give a stranger money for their book. Most authors are launching campaigns between $5k-$10k. It’s not worth a marketing expert’s time and effort to take 15% of that total amount to help you. They are more interested in the >$500k-$1M campaigns. I’ve been turned down three times by PR experts because my Kickstarter goal amount wasn’t high enough to get their attention. I’m doing my best to change this with my Top 10 lists every week, but it’s no secret that Kickstarter is still dominated by the gaming sector. 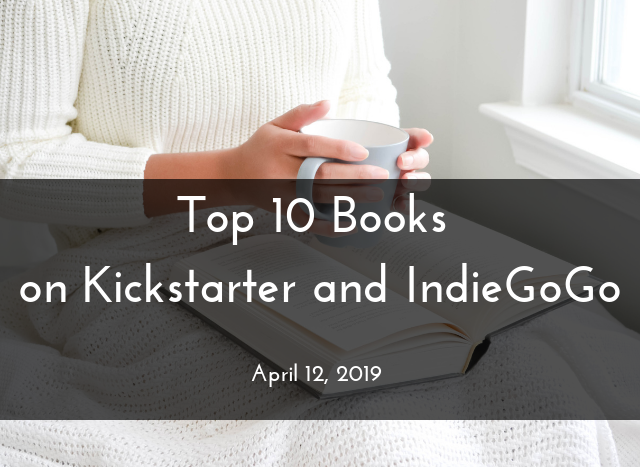 I try to get readers in the habit of scouting Kickstarter and IndieGoGo to support indie authors and illustrators, but it’s going to take time before people start to realize that there are great books on these platforms. Kickstarter authors have to bring readers to the platform which means that it doesn’t really matter where (Kickstarter or IndieGoGo) you launch because leveraging traffic on the platform is unlikely unless you’re in STEM. Writing articles, press releases, getting reader reviews, and doing podcast interviews are all things you’ll need to do for your traditional book launch anyway, but you can do it with a fraction of the stress involved with crowdfunding. Unlike traditional marketing efforts where it doesn’t matter when the sales come in, so long as they come in by the deadline, crowdfunding is the exact opposite. You need a BIG launch day and then a pretty large Days 2-4 in order to make it to your goal at the end of 30 days. If your readers don’t know that (i.e., you didn’t educate them or they never read your emails) and you don’t keep the pressure on, you’re more likely to fail. I’ve seen people pull it off in the end but not without serious hustle and stress. You have to do a ton of reader education to let them know how much value they are getting for their money. Readers are not donating to your book, they are getting the book AND MORE in exchange for their pledge. 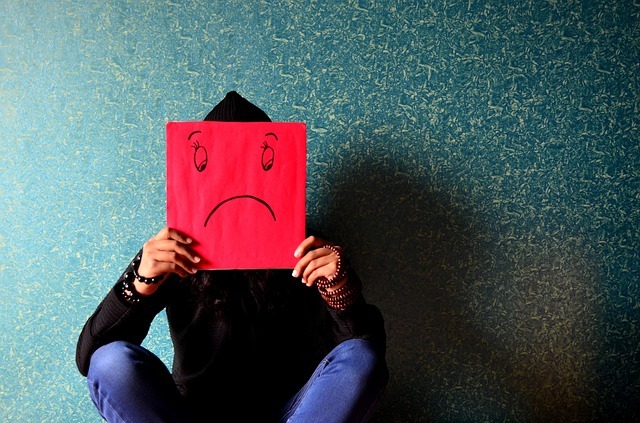 Failing can occur in many ways—setting too high of a goal, pricing rewards incorrectly, running a successful campaign but not delivering in time, running a successful campaign but underestimating shipping costs, and even more scenarios (you get the idea). Nobody likes to fail and nobody likes to fail in front of people but that often happens with around 70% of all crowdfunding campaigns. Ouch! Do you still want to crowdfund your book? Offer expires on Friday, April 19th so don’t wait to pledge. In an effort to bring more book lovers and readers to platforms like Kickstarter and IndieGoGo on a regular basis, here is my list of Top 10 campaigns for this week (in no particular order). Be sure to visit them TODAY as these campaigns are time-sensitive and might be done if you wait too long. There are so many awesome, innovative, and exciting books available only on Kickstarter and IndieGoGo that deserve extra eyes and will help improve the diversity we see in literature. Supporting authors on Kickstarter and IndieGoGo helps these books come to life in ways they can’t via traditional publishing. 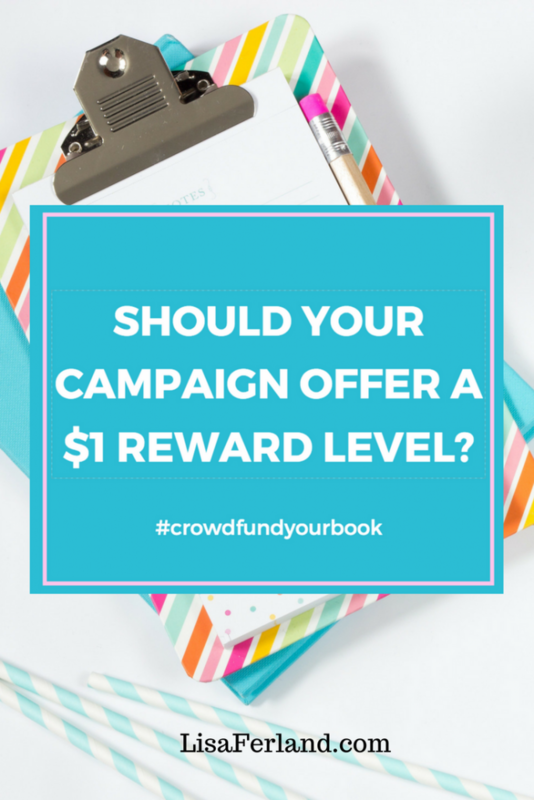 Should You Crowdfund Your Book? 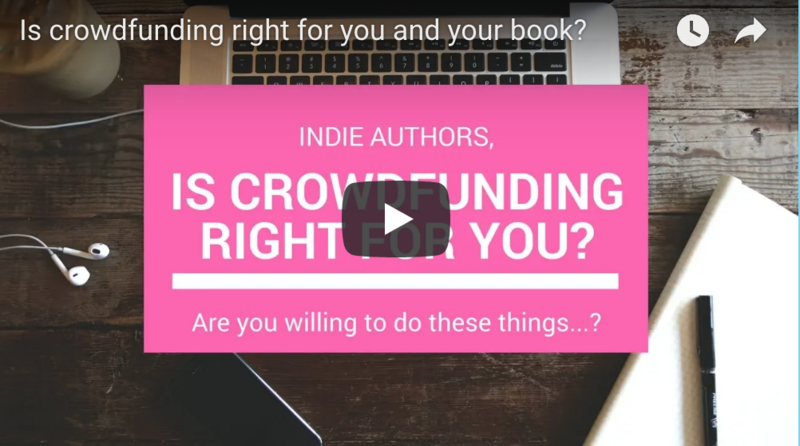 Crowdfunding is a great way to create a sustainable marketing and creation plan for self-publishing but not all authors should turn to Kickstarter to fund their dreams. Do you know what your audience really wants? 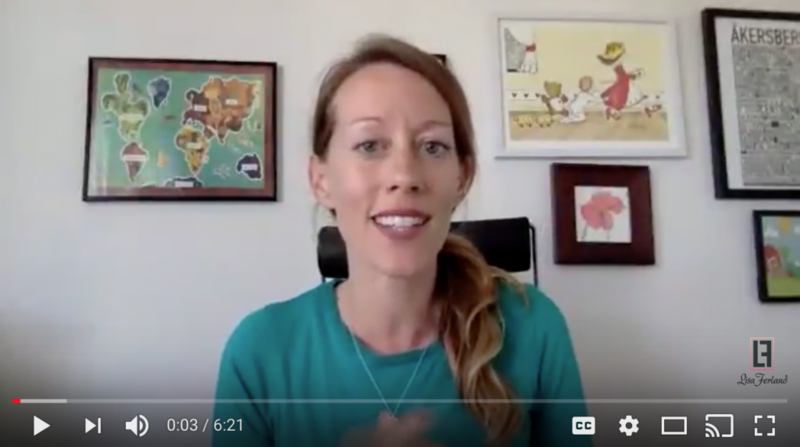 Are you willing to do live videos, show behind the scenes, and explain your process? Are you willing to invest some money upfront? Are you willing to invest a significant amount of your time for the next 60-120 days dedicated for only your campaign? Ok, so after watching that video and mulling over those questions, what do you think? Feel free to leave a comment below if you’re contemplating starting a campaign or if you’d rather pursue other marketing strategies for your book. 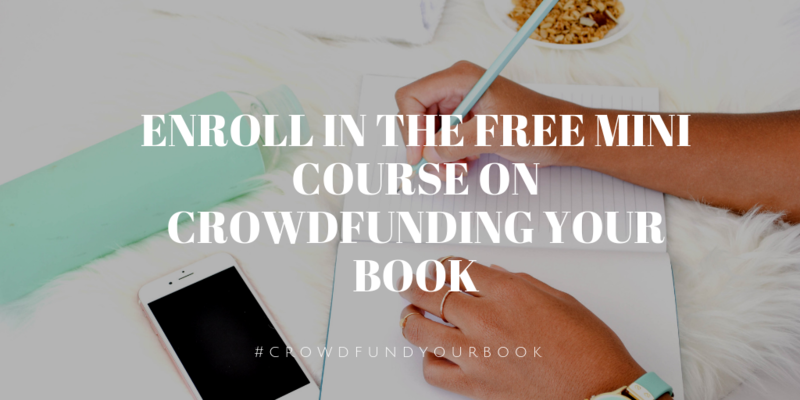 Want to learn more about crowdfunding your book? 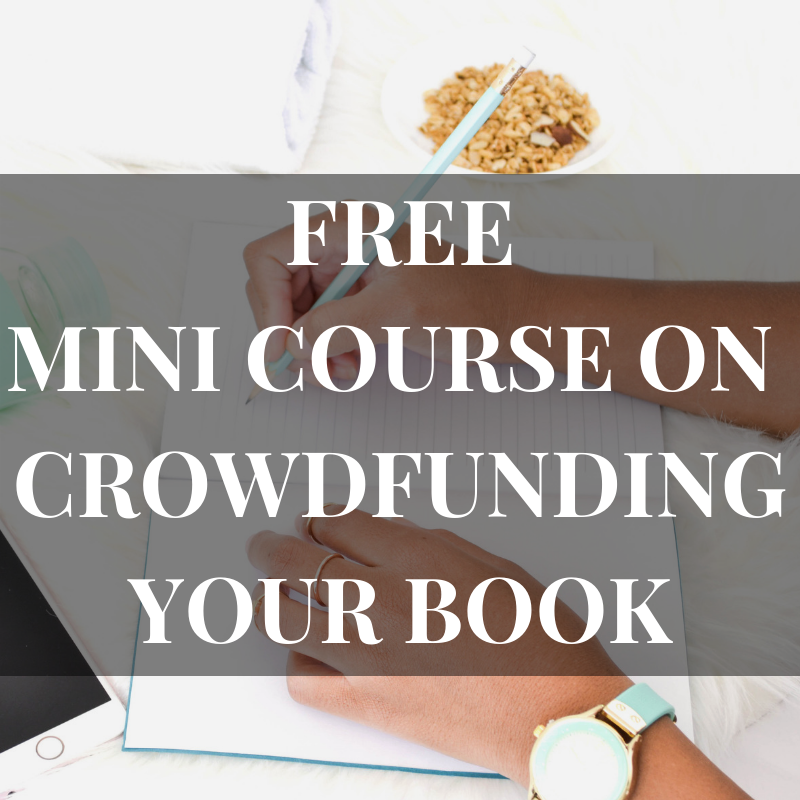 Take my free mini course on Crowdfunding your Book . You may be thinking that a $1 reward is a waste of your time. Who is going to pledge $1 if they are truly interested in your book? Why would someone even bother running a $1 charge against their credit card? It’s just not worth it…right? As a former restaurant server, I equated the $1 reward to the penny tip on a bill. It can be viewed as insulting to the creator, so why include it? Well, I’m changing my tune on the whole $1 reward thingy and here’s why. Whenever approaching strangers about your crowdfunding campaign for your book, you may feel reluctant to pitch a large pledge amount but with the $1 reward option, you’re giving those folks an easy way to say, “Yeah, I’ll support you at little-to-no cost to me.” It’s a no-brainer for people who may not know you personally but like your campaign and want to follow along. It’s really tough to reach people via email if they haven’t backed your campaign. Getting more people onto your email list at the $1 level means that they’ll receive your campaign updates and emails. They may decide to modify their pledge to a higher reward later on during your campaign. I was surprised when people skipped over my discounted Early Bird Reward and pledged higher amounts than was available. In the same way, you’d be surprised how many extra people you’ll get at the $1 level who you might not have engaged without it. It can’t hurt to include it, so put it in there. When fundraising, every dollar counts, even in $1 increments. Some creators have gotten really creative in the types of rewards they offer for $1 and you can read about them here. One creator reached out to contacts and asked them to commit to pledging at the $1 level on launch day. To his surprise, many of those backers pledged at a higher level and helped him create that much needed launch day momentum. One reason not to include the $1 reward on Kickstarter (not applicable on IndieGoGo) is that Kickstarter lists rewards in increasing monetary value and that extra reward takes up valuable real estate when it comes to directing backers to the higher valued rewards. It does take up real estate so keep your description short and make it fun. Use the $1 reward area to showcase your personality and gratitude. 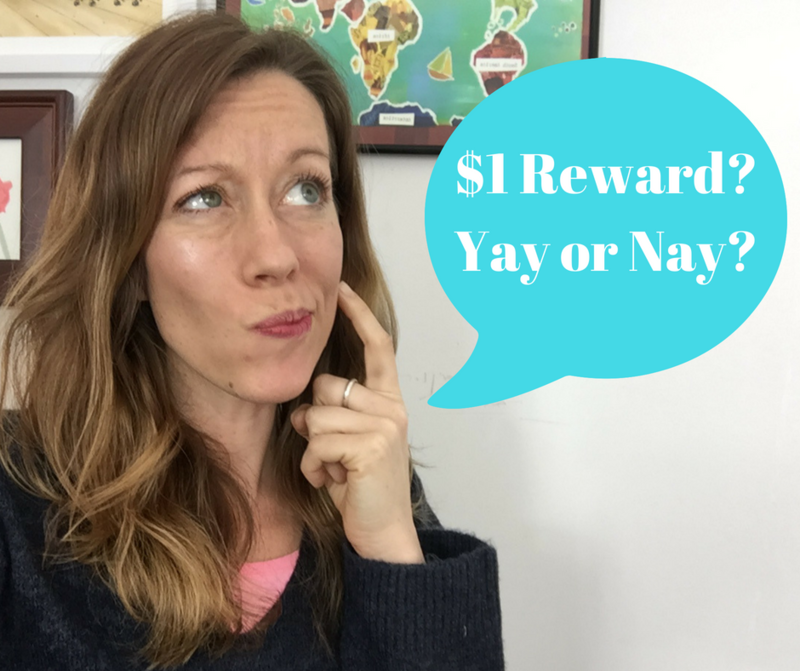 Be sure to leave a comment below if you think the $1 reward is a good or bad idea. Kickstarter vs. IndieGoGo—Which one to choose? Publishizer—Good or bad for indie authors? 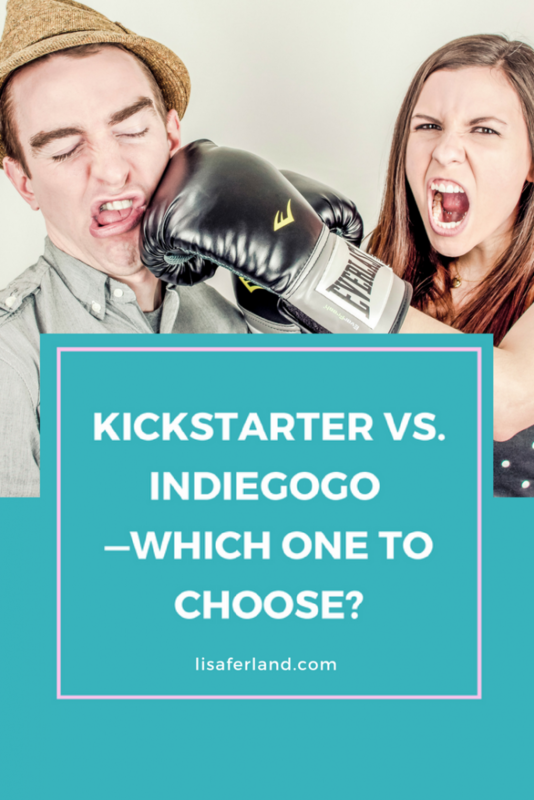 Kickstarter vs. IndieGoGo for Indie Authors—Which one to choose? You can successfully crowdfund books on either Kickstarter and IndieGoGo platforms. In this article, I will make suggestions to help you decide which one is best for you and your book. Be sure to read the “About us” part from both websites bearing in mind that they are giving you the FAQs with a natural bias to promote their platform. Kickstarter has launched 42k projects in the Publishing category with a success rate of 31%. IndieGoGo is much less transparent about their stats and requires a bit more digging. Here’s their comparison chart between IGG and Kickstarter. I often get frustrated with IndieGoGo because they bury their Writing and Publishing projects on the front page of the website. One has to know exactly where to look to “stumble upon” those projects whereas Kickstarter makes it very easy to navigate from the homepage. I have no idea how many Writing and Publishing projects have been launched on IndieGoGo because they haven’t published category-specific statistics and many of their campaigns are acquired through their InDemand program (described below). You really need to head over to the Writing and Publishing category and poke around to see what the average funding levels are for books in your genre. IndieGoGo wins over Kickstarter in this category. IndieGoGo provides a landing page where you can collect emails from people who are interested in your book. Creators on Kickstarter will need to collect emails using a separate lead generator or on their own websites. Pro tip: Don’t lose your emails! IndieGoGo creators need to grab those emails before your campaign goes live because that same page turns into your campaign page and those emails disappear. Grab those emails and enter them into your newsletter provider like Mailerlite or MailChimp if you want to hang onto them. If you launch on Kickstarter your Kickstarter page will no longer accept backers once the campaign ends. IndieGoGo wisely sees this as an opportunity to swoop in and acquire successful projects to their platform. You’ll be contacted by IGG to feature your campaign as part of their InDemand Program. The InDemand program allows you to redirect backers who missed your original campaign to order your books through their website. It won’t really hurt you to do this, but I’d rather direct folks to buy my book directly from me using PayPal or Stripe and pay those fees (~6%) rather than the IndieGoGo platform fees plus payment processing fees. Either way, when you’re on IGG doing research on books in your genre, be sure to look out for books that were actually acquired through this program. Those books were not successfully funded on IGG. Here’s what it looks like—you have to hover over the question mark icon to get the truth about where that author found success. A lot of people mistakenly think that the general population has heard of a Kickstarter more often than an IndieGoGo campaign and therefore, they are better off launching on Kickstarter. Most people who you will want to support your campaign have zero clue what crowdfunding is and will need a step-by-step explanation. They really don’t care if it’s on Kickstarter or IndieGoGo because it’s all foreign to them anyway. Choose the platform that feels right for you since you’re going to be directing your audience to that page anyway. Rewards on Kickstarter are listed in ascending value (cheapest reward is listed first) which means that more backers are going to select the first thing they see unless they scroll down. And who wants to scroll down?!? Such work. 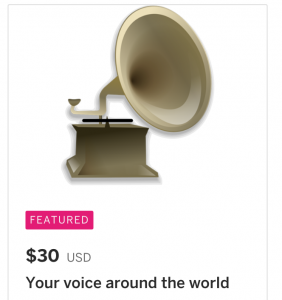 IndieGoGo campaigns have a neat “Featured Reward” designation that pins whatever reward you want to the top of your campaign so people are more likely to select that reward. Pro tip: Set your featured reward to the average pledge you’d like to have for your campaign. Don’t set your reward value too low and lose out on awesome conversion opportunities. Setting rewards too low is a common mistake that indie authors make. 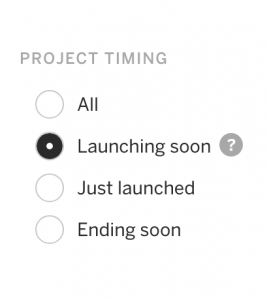 Kickstarter and IndieGoGo have similar analytical features on the creator-side of their projects but Kickstarter creators can utilize Kicktraq—a Chrome extension plugin that provides predictions for how a Kickstarter project will ultimately end. IndieGoGo’s backend analytics are pretty cool but they won’t show you how your campaign is trending into the future—only past contribution levels. Communicating with your backers is a huge part of engaging and encouraging your backers to share the campaign. Unfortunately, Kickstarter holds your backers’ emails hostage during your campaign and only allows creators to communicate using the Kickstarter platform itself. In doing so, Kickstarter backers (usually a distant relative who has never backed a campaign before) thinks that they are getting emails from Kickstarter itself and not you directly. They generally ignore these emails and wonder why you’re not communicating with them (insert eye roll emoji here). Kickstarter also has a new “anonymous backer” option which allows backers to hide their identities from creators. This anonymous feature may result in more backers but it also makes it impossible to properly thank your Aunt Mary for generously contributing to your campaign. IndieGoGo gives you backers’ emails as the pledges come in, which is great for adding them to your newsletter provider and communicating with them directly. Kickstarter has added a “Live” feature which is similar to Facebook Live videos but I don’t think they are very helpful for indie authors’ campaigns who are relying on readers from outside of the platform itself. IndieGoGo has a great feature that automatically makes every backer into a referrer if they share the project link when they are logged in. Here’s more information on their referral program. Kickstarter doesn’t have this feature built into the platform so you’ll have to do it using another referral program. Here’s how one Kickstarter creator incentivized shares via a referral contest. Which platform you choose is really up to your personal preference. When I launched my second book on Kickstarter, I was wholly convinced that it was the platform for me. When My Super Science Heroes found amazing success on IndieGoGo and I got to see firsthand how the email capture, Featured reward, and referral options worked, shockingly, I discovered that I preferred IndieGoGo’s features over Kickstarter’s. But don’t take my word for it. Hop over to both websites, back a few projects, and decide for yourself. 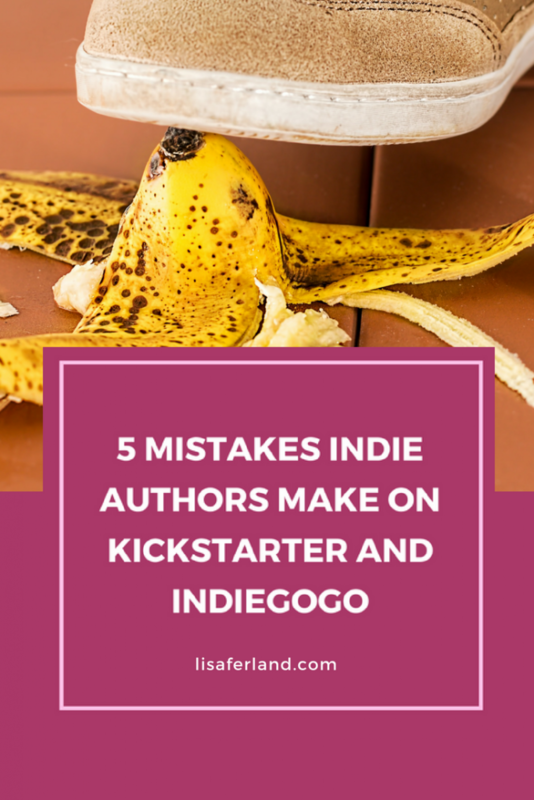 I’ve analyzed a lot of crowdfunding projects over the years and there are a TON of mistakes that indie authors can easily avoid. 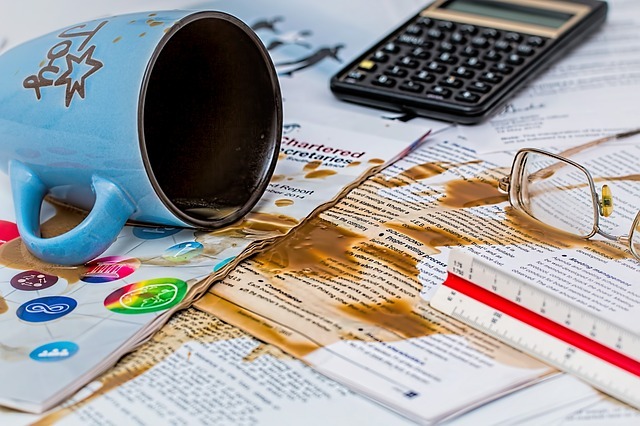 In this article, I’ll explain the mistake, how I can tell someone is making a mistake, and how to fix it. Many indie authors think that backers will come flocking after they put up their campaign page. They have a cute video, good graphics, and nice rewards but absolutely no strategy for marketing the campaign to potential backers (readers). Most indie authors without a solid marketing strategy happening behind the scenes will not reach more than 100 backers. I look at the number of backers a campaign has every day (thanks to Kicktraq) and if you have a few days in a row with 0 backers/day, I can tell that there either is no strategy or the strategy isn’t working. It’s really tough to create a solid marketing strategy mid-stream but all is not lost if you act quickly. Try to reach at least 30% within the first 5 days of your campaign or prepare to fold up camp and relaunch after you’ve built up your audience a bit. You can start reaching out to big bloggers, journalists, and influencers who might be interested in your book, add a new reward that you KNOW will entice more backers, and do a full-out media blitz everywhere you think your readers might be lurking. 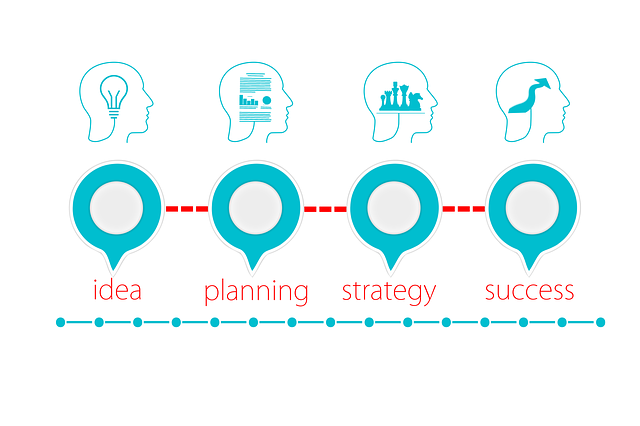 That said, with a short campaign timeline, you really don’t have time to develop a new strategy on the fly and your time, effort, and energy might be spent better on a relaunch a few months later. Many indie authors actually price their rewards too low. Remember, we are crowdfunding which means that backers are willing to pay a bit more than retail to help you create your project. That means you need to price your rewards higher than you would if you were selling them on the street. Usually, I can see right away if your rewards are reasonable based on if I’d be willing to take out my wallet and enter in my credit card information based on what you have. Are you offering an early bird discount or special reward to spur action on my part? What else does your audience want besides your book that is of value? What else can you offer? Bundle that together and slap a $50 price tag on it and get people to level-up to that reward. Your video does not need to be professionally created, although that does help, but it needs to be relatively short. Remember, you are trying to get people’s attention very quickly so jump straight to the point with a call to action. How do I know your video is boring? Because I’m bored and want to click away but I won’t because I’m analyzing your page. What do you want someone watching your video to do? You want them to back your book so you can do X for Y. Say, “Back our project to introduce classical music back into the classrooms of 4th and 5th graders in New Jersey,” or whatever your awesome book brings to readers. Say your call to action loud and clearly within the first 30 seconds of your video. I wish we could all raise $30k on Kickstarter by simply creating a campaign and posting the link to our Facebook pages a few times but that’s not how it works. Behind the scenes of every crowdfunding campaign is a tremendous amount of emailing, outreach, article creation, videos, podcasts, and other activity on the Internet. If your goal doesn’t match your audience size (remember, the average backer will spend $45-$50) then you’re not going to be successful. I look to see if someone has created a campaign in the past, I evaluate the activity on their social media pages, and I do a bit of market research on other crowdfunding campaigns on similar topics in the past. Unfortunately, your goal is locked in once you launch your campaign. IndieGoGo allows you to extend your fixed campaign one time if you need it, but you can only extend it one time. You cannot, I repeat, cannot have a $30k goal without knowing how you’re going to secure at least 600 backers. Factoring in a 2% conversion rate, you need to reach at least 30,000 people. You can always relaunch with a more reasonable goal. A stranger wanders onto your crowdfunding campaign page and is looking for more information…more personality…an update or two to find out how the campaign is going. Many indie authors don’t post any updates on their campaign’s page and this is a lost opportunity to get more backers. It’s all quiet on your page and I’m wondering what’s up? How are things going? What else can you tell me about your project? Are you grateful for all of the support so far? Use the public updates on your page as a way to showcase your personality and share insights into the project that weren’t already covered in your campaign’s description. Can you share something from your illustrator? Have you decided to add a new reward? Have you been featured in the Washington Post, Forbes, or some other fancy website that people would think is cool? Share your social proof that others are on board and link back to your campaign. Why include a link to your campaign that’s in an update about your campaign? Both Kickstarter and IndieGoGo email backers all public updates but Kickstarter (annoyingly) doesn’t automatically link the reader back to your campaign. That means that if someone wants to forward the email they received from Kickstarter about your campaign to a friend, they can but then the person just gets a body of text—no link—and you’ve lost a potential backer. Make it super easy for people to find your campaign by always including a link back to it. After successfully crowdfunding my book on Kickstarter and helping other indie authors find success on IndieGoGo and Kickstarter platforms, I fully believe that more indie authors can successfully crowdfund their books with some research and strategic planning. If you can get more than 150 people to pre-order your book based on a sales page and campaign video, then you have a really strong message that resonates with people. Chances are good that you should create your book. 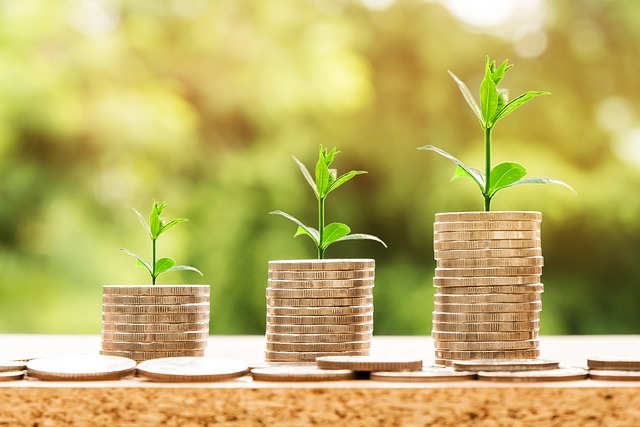 If you can’t raise the necessary funds to make your book a reality (i.e., your campaign doesn’t successfully fund), then it means that you need to reevaluate your idea, your audience, or your marketing efforts. Something is flawed and a failed crowdfunding project doesn’t mean your idea isn’t valuable, it just means you need to rework your approach. Crowdfunding in a do-or-die scenario is a really good test of your book’s concept and will undoubtedly improve your future marketing efforts. When I launched the Kickstarter campaign for Knocked Up Abroad Again, I only had a newsletter size of 140 people and a Facebook page around 700. That was it. Scary, right? Traditionally markers said that I wouldn’t reach my $10k goal with those numbers and normally, they’d be right. The difference is that crowdfunding isn’t like traditional marketing campaigns. Crowdfunding forces you to create valuable content that people will want to share with their friends and family—organically—and those articles, videos, and images all have the link to your campaign on them. Fortunately, I had the help of a team of 5-8 contributors who developed their own blogs, videos, and graphics to share with their networks. Crowdfunding is truly a team effort that undoubtedly results in expanding your audience. One of the best parts about crowdfunding is that you engage your audience. As the creator, you provide them an inside peek into the development process of your book. They are along with you on the ride and are excited to share your concept. This type of audience engagement is rare during the development process. Normally, writers will create a book and release it on a launch date. Not many readers get the chance to influence a book during its development and that’s what keeps people coming back to platforms like Kickstarter and IndieGoGo. This condensed marketing effort really takes a lot of strategic planning and development. You can’t just throw up a campaign page and expect the backers to support your project. All of the marketing efforts that other authors spend over the course of the year are condensed into a very short timeframe. This can be exhausting, which is why all crowdfunding campaigns should end after 35 days or so. 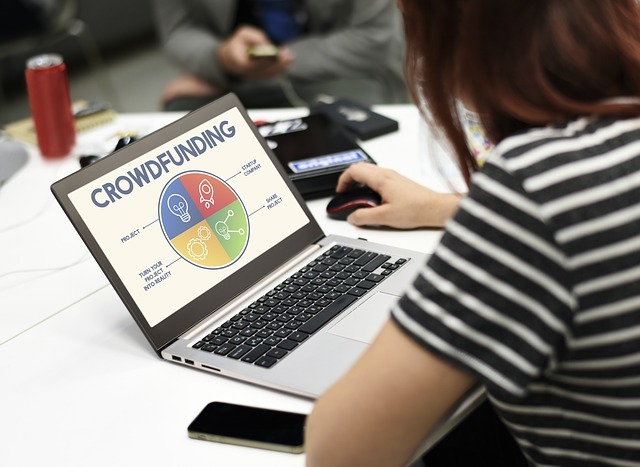 During your crowdfunding campaign, you’ll write press releases, create videos, reach out to bloggers, social media influencers, and hopefully, get the attention of a few news outlets. Stacy Bauer made a few appearances on her local TV news station during her Kickstarter campaign for her children’s book. Erin Parekh’s campaign link was retweeted twice by Neil Gaiman out to his 2.72M followers. You’re not supposed to be able to sustain this level of a marketing media blitz longer than 30 days, so please, don’t try. The best part about crowdfunding your book is that aside from your marketing budget during the crowdfunding campaign, your wallets aren’t entirely empty. Many indie authors struggle with finding the thousands of dollars necessary to hire a quality editor, illustrator, and cover designer. As a result, their books aren’t as well made and don’t sell as well. Believe me, people will invest a few extra books if it means they get a better book plus a few extras. Tired of reading and want the video version of this blog instead? Watch me reiterate the points above (and more) in the video below. 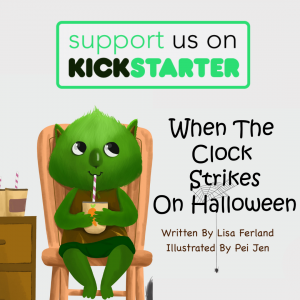 Lisa Ferland is a crowdfunding consultant for authors, a Kickstarter superbacker/addict, and an indie-publisher who is dedicated to helping others DIY their way to a professional, high-quality book that doesn’t break the bank.